Selection of the best flow meter for your specific application is a critical step, one that will affect the quality of your process for years. Choosing the wrong meter can lead to inaccurate readings, high maintenance costs, and expensive downtime. 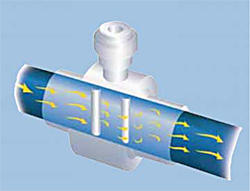 The following section is designed to explain the technology of vortex flow meters and the specifications of the Clark Solutions vortex product line. Our goal is to ensure that the vortex meter you select meets the requirements of your specific application.